We run 6 week courses at Colden Common Community Centre for puppies who have received their first vaccination and those up to the age of 16 weeks. Our classes are designed to cover the basics of your training. We will teach your puppy to greet other dogs appropriately and calmly and encourage them to focus on you with lots of distractions from the class environment. Here at Positive Training for Canines, we offer a wide range of dog training classes to suit the needs of your dog. These classes are suitable for dogs aged 9 months or above. We introduce clicker training to encourage the dogs to think for themselves. These classes are suitable for dogs that have been re-homed, completed a Junior class and those who wish to refresh their training or to help build their bond with their loving four legged friend. Our classes are held at Colden Common Community Centre. These are 6 week courses where you will be encouraged to train your dog in a friendly, non competitive environment. We only use reward based training methods to achieve the very best results. 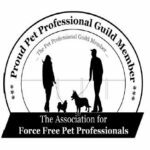 Whether it’s adult dog training or puppy training you need help with, please consider calling Positive Training for Canines today! 7.45 – 8.30pm – follow on course to level one, perfecting your training and life skills with lots of fun and games. 6.45pm – 7.30pm Juniors – for those who have completed our puppy class or for dogs aged between 17 weeks and 6 months of age. We run a dog walking service that is different to most. We give your dog 100% of our attention and work on any issues you are experiencing. Not only will we walk your dog to sniff, go to toilet and encourage them to walk nicely on a lead we also offer mental stimulation so your dog is tired when we leave them. We have a field you can hire to practice your recalls, allow your dogs to have a run or spend time with your dog. We carry out an introduction on your first session and then you book your sessions as and when you want them.